Where in the World is fleegle? 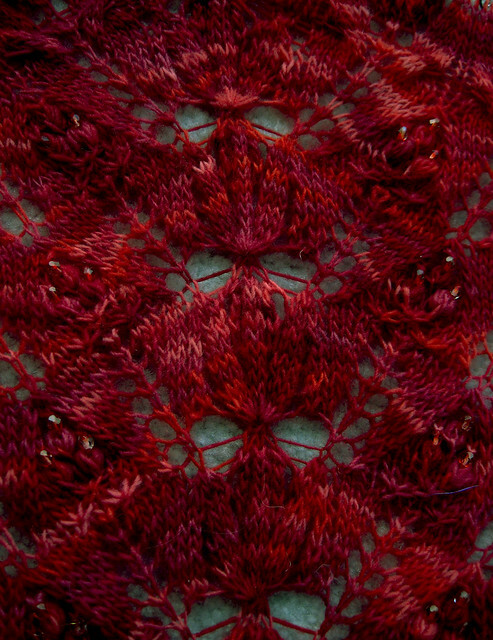 No, I was not suffocated by mountains and billows of the Queen Susan shawl, although it was a close call there for a few weeks. I've actually been quite busy, but just haven't had the urge to photograph anything. Fortunately, Hyperactive Harry got a new camera for Christmas, and condescended to take pictures for me. I winnowed out the dross, namely an extremely unflattering set of early-morning-before-coffee snapshots, and instead present you with the remainder. I've been busy spinning. 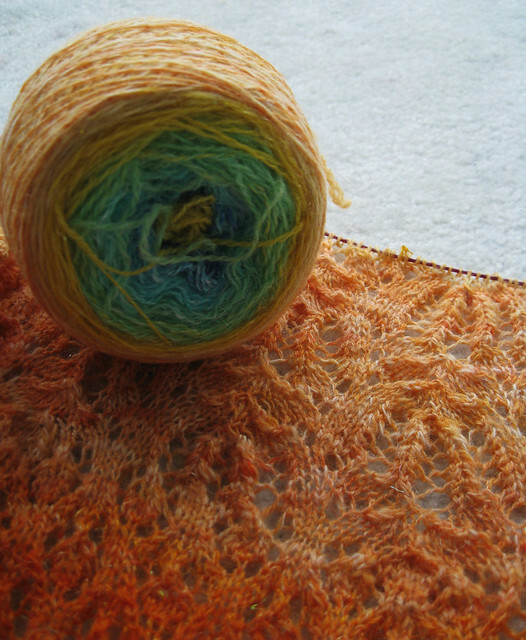 All of the skeins shown below were spun on Tibetan supported spindles. After the Knitting gift rush was over, I took the incredible step of actually knitting warm things for myself. 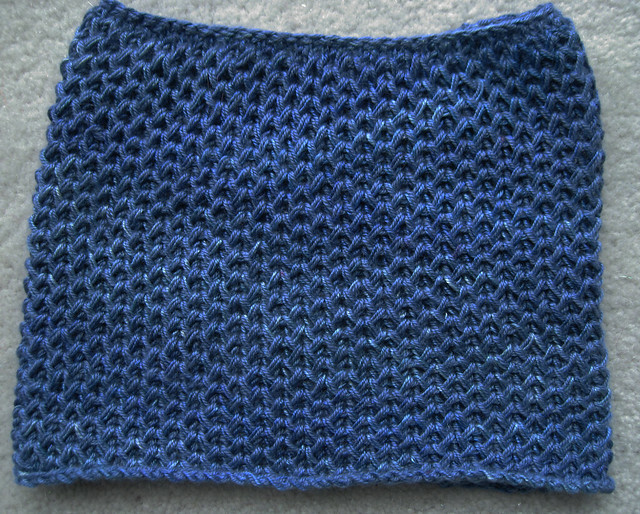 The first is a simple neck warmer in circular honeycomb brioche stitch. 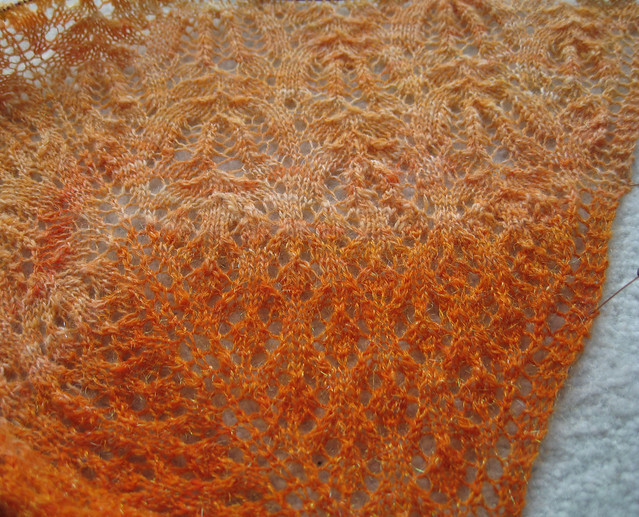 I wanted something very warm and soft, so used one strand of silk and one of cashmere. 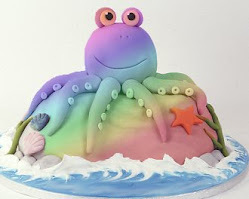 Fortunately, Harry wasn't around to see the first attempt. 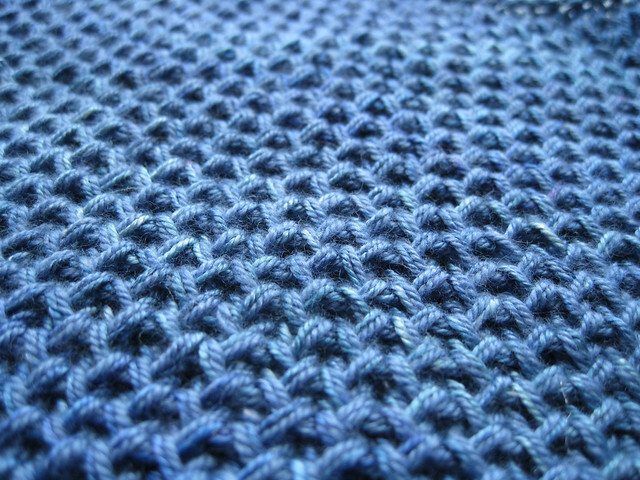 I forgot that brioche stitch is really very stretchy...and the result was more of a waist warmer. By eliminating 3/4 of the original stitches, I obtained something that actually fits my neck. I always wanted a pair of hand-warmers, but always ended up giving them away. This pair is a keeper. 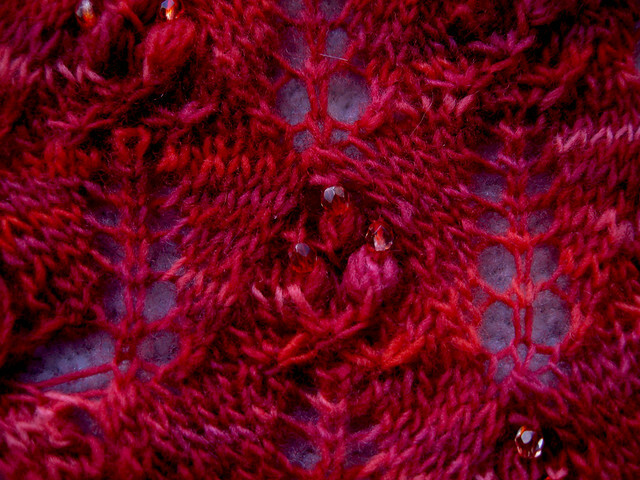 Knit from a worsted-weight merino-silk, the pattern is my own invention. 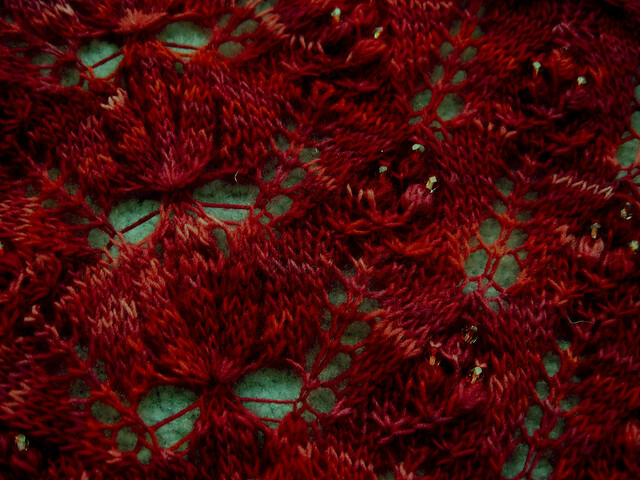 Too lazy to find a cable needle, I simply knitted three rows, then knitted the third, second, and first stitch on the left-hand needle to produce a cable-ish effect. 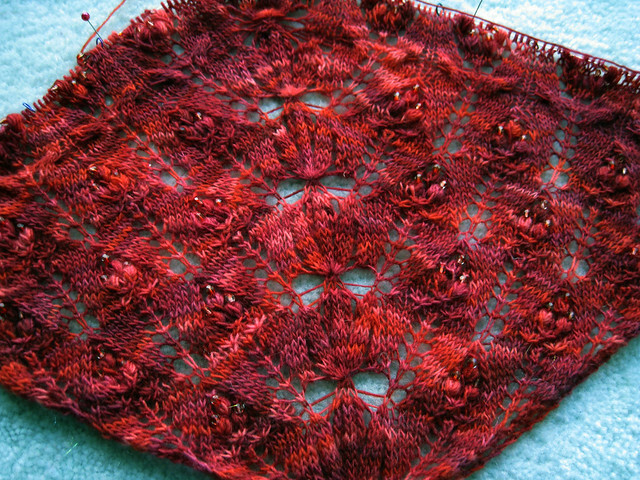 Krokus is being knitted with Malabrigo laceweight in the Amoroso colorway. The beads are 4mm bi-color faceted rounds. 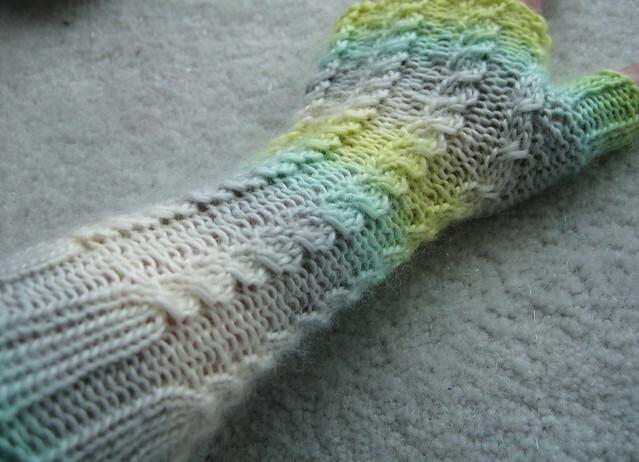 Both patterns are freebies and lots of fun to knit--there's little repetition, so boredom cannot set in. In other news, I decided to discontinue my spinning series--few of my readers seem interested, so I will forgo publishing the rest of the articles that apparently bored my readership into a stupor. Anybody still there?